Thin green grass-like leaves. Tart, tangy lemon flavor. Unique edible bed for scallops and shrimp. Excellent herb for pairing with all kinds of seafood. 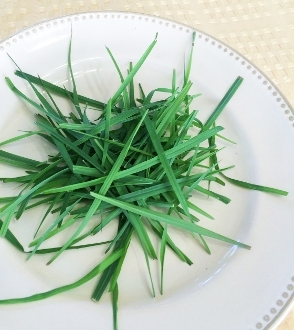 Tradionally an Asian herb, lemon grass is a great addition to pho, wonton soup and lo mein.